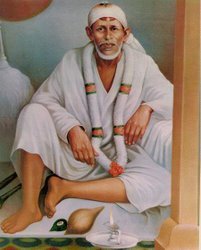 Chapter 28 of Sacred text Shri Sai SatCharitra contains few stories about Megha. 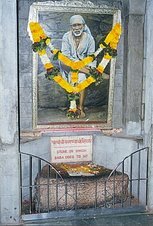 Megha was a unique devotee of Sai Baba. 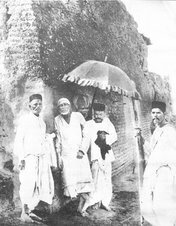 Initially the traditional and societally way of thinking prevented him from going to Sai Baba in Shirdi and accept him as Sadguru. Megha had a heart of a devotee, whatever he had learned according to the Hindu tradition, was performed by him with total devotion and intensity. It was not just another morning or noon or evening prayers or rituals. His heart was with what he did, and whatever he had learned he had faith in it. Those were the days when Hindus considered that even the shadow of a person form another faith or religion was enough to make them polluted and a bath and rituals were needed for the cleansing from the same. It was more so with the Muslim tradition as the Mughals had ruled since decades and many of the rulers were ruthless, and the followed the taboos like eating meat. Megha while on the way to Shirdi, learned from few people that Sai Baba was a Muslim Fakir. 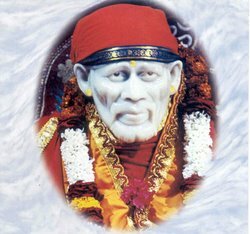 That was enough for the simple and trained mind of Megha to feel a repel force from meeting Sai Baba. 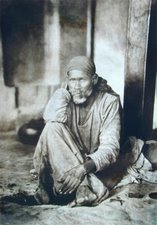 However those who had felt and lived the the immense love and sacredness of Sai Baba also from the same tradition could manage to manage to send him to Shirdi, despite the rebel of his mind. 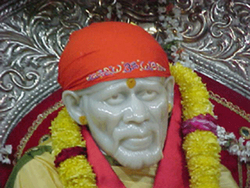 When Megha went t Shirdi near the Dwarkamai, he was welcomed by the abuse and fury of Sai Baba. 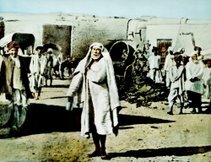 Sai Baba did not let him enter the Holy Majid. Sai Baba spoke out the words that were going on in his mind, the fear of getting spiritually polluted on meeting a Muslim Fakir. The consequences of thinking of Sadguru or a perfect master as low are serious according to the laws of karma. The following was said by Sai Baba to Shama on the same subject. Saibaba said, “Don’t look down or talk ill of others, especially a Satpurush for the ill effect of it will be seen on the future generations. Your Guru and Father should be treated with love and respect, do whatever Seva you can do for both of them. Have total faith in them." Also when the Sadguru himself punishes for this act the karma is cleansed away. If Gods get angry Sadguru can save you but if Sadguru gets angry or treated badly, not even the Gods can help you. Sadgurus kind at heart know this and punishes their dear ones only to save them from a harsher punishment they would get. Thus Megha was saved from the serious consequences, of a mistake that is so common among most humans. Megha unaware of the help and love he got in form of anger, left the place with heavy heart. Spent much of his time doing the prayers and rituals. Megha's mind might be unaware but his simple heart and the soul, which understands the language of love and sacredness got him pulled again to Shirdi. Megha was immensely benefited from his Shirdi stay. His simple heart, his devotion made him realize many spiritual experiences. Sai Baba was Lord Shiva for him. Megha would walk miles to get the bilwa leaves used for Shiv Puja and dear to lord Shiva. Megha had a jata, long knotted hair on his head, wide forehead. He used to perform Kakad Arati of Sai Baba, every morning. In Maharashtra and and many villages of India, those days food was cooked stoves called chuli or chula, that used wood as fuel. 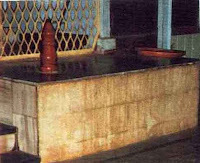 Such two stoves can still be seen out courtyard of Dwarkamai, which Sai Baba used to cook food many times, and distribute it to poor, needy, fakirs, animals, devotees alike. A wooden stick was wrapped with a long piece of cloth dipped in liquid fuel, was lightened and put between the load of woods in the stove so that they catch fire. This was called Kakad in the locality. Similarly a long wood stick wrapped with cloth and dipped in oil was used to perform this morning Arati, hence named as Kakad Arati. Further it is noted, I remember how Sai Baba foretold his death three days ago. 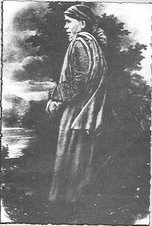 "This is the last Aarti of Megha"
In an entry dated 12-12-1911, in his diary Mr. G. S. Khaparde, it is written that day the breakfast was late as Megha could not get the leaves of Bela and had to go long distance for them. So mid day Puja was not finished till about 1.30 p.m. This indicates that Sai Baba waited for his usual Puja and Arati beyond it's regular time. There is a similar remark in entry dated 17 - 12 - 1911 A.D.